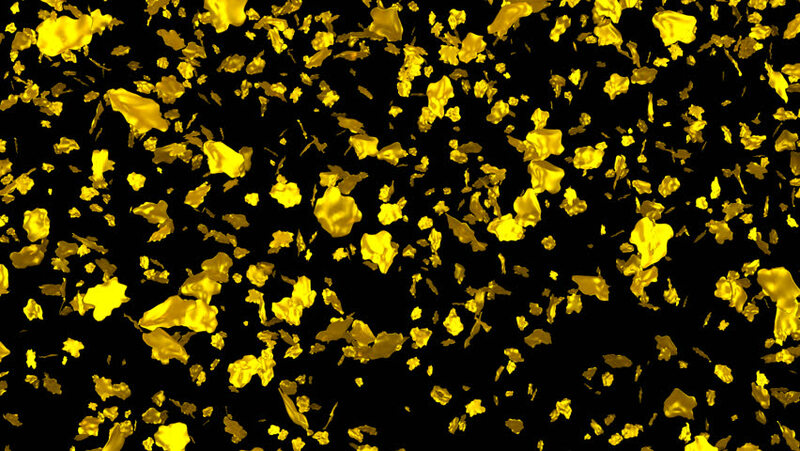 Animated falling gold flakes 3 in 4k. Transparent background - Alpha channel embedded with 4k PNG file. 4k00:14Animated a lot of shinning gold nuggets exploding and flying from left to right against transparent background and in slow motion. Alpha channel embedded with PNG file. 4k00:14Animated a lot of shinning gold nuggets exploding and flying toward camera against transparent background and in slow motion. Alpha channel embedded with PNG file.